Today we’d like to introduce you to Elyse Danckers. Elyse, can you briefly walk us through your story – how you started and how you got to where you are today. I got involved with Waukegan to College about 10 years ago, early in the planning stages. It all started when an acquaintance told me about high dropout rates and poor performance at schools only 10 miles from my house. At the same time, my own daughter was starting high school in a well-resourced school district where the assumption was that nearly everyone would graduate and go on to college. Something began stirring in my heart to think about all the young people who weren’t getting a good education and a chance at a better life. They were being doomed to a life with little hope, living paycheck to paycheck. And we as a broad community were being doomed to a future with many young people unable to find fulfilling, or maybe any work at all. This started bugging me. At first, it was like the little voice in the evening that calls to me from the freezer, the ice cream calling my name. Over time, the “do something, fix this” grew from the tiny voice to be a full, body slam in the direction of working on improving educational opportunities. I called my pastor and she recommended that I check in with Lake County United. 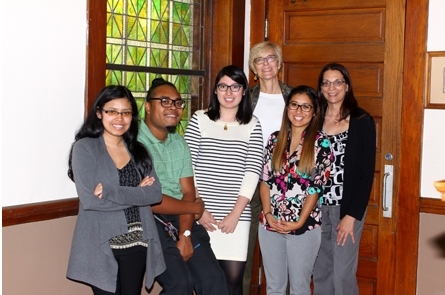 This community organizing group was just starting research to determine what could be done to improve college attainment in Waukegan. What drew me in was the fact that the interest in higher education was coming from the community itself. In listening sessions, parents were saying that they were worried that their son or daughter was not going to college, would not have a chance at higher paying jobs, and would end up working beside them, on landscaping assignments. This was not the American dream they envisioned for their families. This research by Lake County United directly led to the founding of Waukegan to College. Ten years later, I’m blessed to work with an extremely dedicated Staff and 100+ volunteers who work as board members, tutors, mentors and reading coaches. Each brings time and talents to help make a brighter future for our amazing students. I feel extremely proud to hear from a college student that she now has a college degree because of the support she received from W2C staff and volunteers; or to hear from an 8th grader that he’s decided he doesn’t want to be the class clown anymore because a W2C summer camp helped him understand that he owns his future. As we approach our 10th anniversary, it is so gratifying to think about the hundreds of children and families that we have touched, and even more exciting to work on our growth plans for the future. As often happens, the true joys and victories of the Waukegan to College story are closely related to our biggest challenges. In fact, our over-riding challenge is incorporated in our very name: Waukegan. Waukegan, Illinois is a town of approximately 88,000 folks, about 30 miles north of downtown Chicago. And, although it is the largest city and county seat of Lake County, it is one of the most economically depressed areas in the county. The population is predominantly Hispanic, and the median household income is barely 50% of that of the county overall. The Waukegan school district has proven to be woefully inadequate, with only 24% of Waukegan High School college-ready, less than half the rate of the state as a whole, and one-third the rate of nearby Lake Forest High School. For one of the top 25 high schools in the country (based on size of student body), Waukegan High School has one, part-time college counselor. It was precisely this set of demographics — low-income families, inadequate public education, households dominated by First-Generation, non-English speakers — that prompted the need for W2C, as well as the powerful emotions that drew me to this cause. However, sustained fund-raising — the lifeblood of any not-for-profit organization– is extremely difficult in this environment. The local businesses and institutions are often struggling. The general population is not in a financial position to provide major donations, and the 30 miles separating Waukegan from the center of Chicago’s wealth can make this city feel like a very distant “cousin”, with needs too remote to be of immediate priority. Therefore, our biggest challenge remains that of bringing the First-Generation students of Waukegan —replete with all of their potential and barriers — to the forefront. We need to build awareness and tell our story to the entire Chicago Metropolitan area, moving the residents of Cook and DuPage Counties — as well as Lake — to embrace this community as a priority. So let’s switch gears a bit and go into the Waukegan to College story. Tell us more about the business. As a Founding Member and the first and only Executive Director of Waukegan to College, I am unabashedly proud of what our team has been able to accomplish over the past ten years. 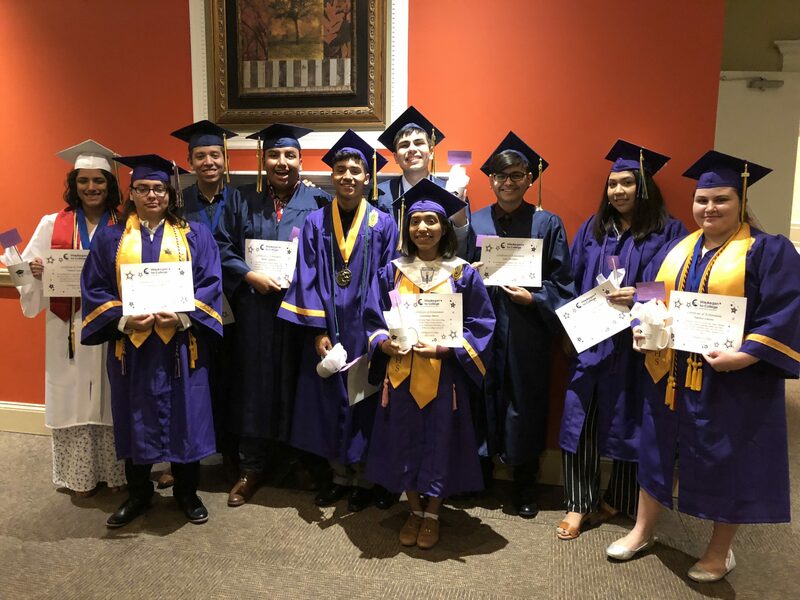 Waukegan to College (W2C) is dedicated to helping First-Generation students (and their families) successfully navigate the path to and through college graduation. The organization was created in 2009 as a result of a series of listening sessions in Waukegan community churches, and other local institutions. The purpose of the research was to identify the key unmet needs of this predominantly blue-collar, Hispanic community. In these information-seeking forums, sponsored by Lake County United (LCU), education was consistently raised as the number one concern. Parents were understandably worried that their children would not go to college; would not land meaningful, well-paying jobs; and would not fully participate in the American dream. The organization launched in 2009 with one-on-one counseling and workshops for college-bound students and their families. Tutoring and mentoring were added later in the first year of the program. Since its start, W2C has continued to evolve. Programming again expanded in 2011 with the addition of Read to Achieve and summer enrichment programs in math and English. In 2013, as a result of our strategic planning process, we added an Expanding Horizons component to give students cultural and workplace experiences outside of Waukegan. Also in 2013, with the help of a dedicated volunteer who is passionate about math, W2C launched a math fundamentals program using the online tool, Khan Academy. In 2016, with funding from the League of United Latin American Citizens, W2C offered seven STEM workshops to middle school students. And, this year, we offered an eleven-week coding workshop series for middle school girls called Technolochicas. 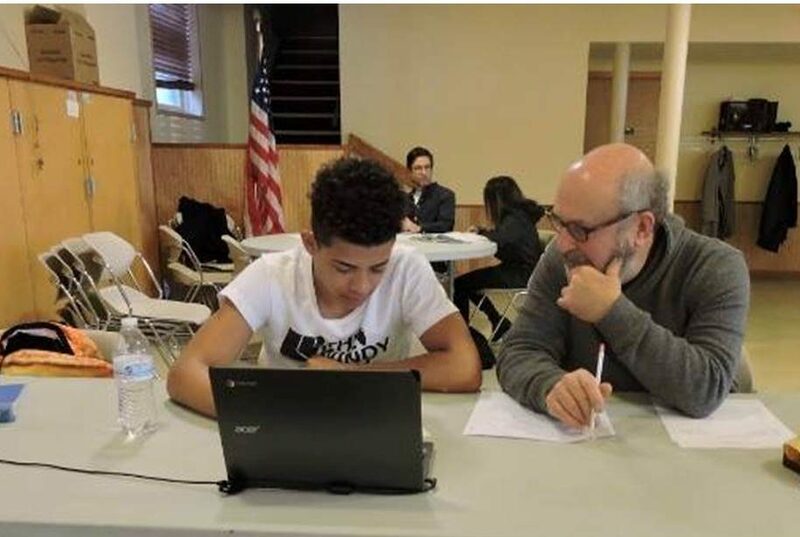 With a robust volunteer corps of more than 100 who serve as tutors, reading coaches, mentors and office support, W2C gives people from surrounding communities an opportunity to get to know “the other”, those living in poverty in Waukegan. By building relationships through tutoring and mentoring, stereotypes are broken and true human connections can be made. As a key component of their needs analysis research, LCU looked at existing college-readiness programs in Waukegan, as well as other leading programs, such as the Urban Education Institute and College Bound Opportunities. This research found that, although a number of solid programs are available in Waukegan, none included parents in their programming. Understanding that the entirety of First-Generation families needs cultural and academic coaching in order to best support their college-bound students, W2C decided to make parental involvement a central, unique element of the program. Beyond the requirement that parents participate in our regularly-scheduled academic counseling sessions, in 2011, we formed a Parent Leaders Team to work with us to help other parents stay connected to the program and to be a sounding board for new ideas. This group of Parent Leaders has blossomed into a great resource. We now have a team of 14 parents who meet regularly with staff to discuss possible improvements and brainstorm new ideas. These parents chair subcommittees (Strengthening Parent Relations, Community Service, Fundraising, and Community Organizing) and recruit other W2C parents to serve on their committees. They play a key role in the new family intake and onboarding process, interviewing prospective W2C parents during the intake process and helping to lead the new family orientation workshops. Last year, two-parent leaders were trained in a workshop curriculum called Juntos developed by North Carolina State University. 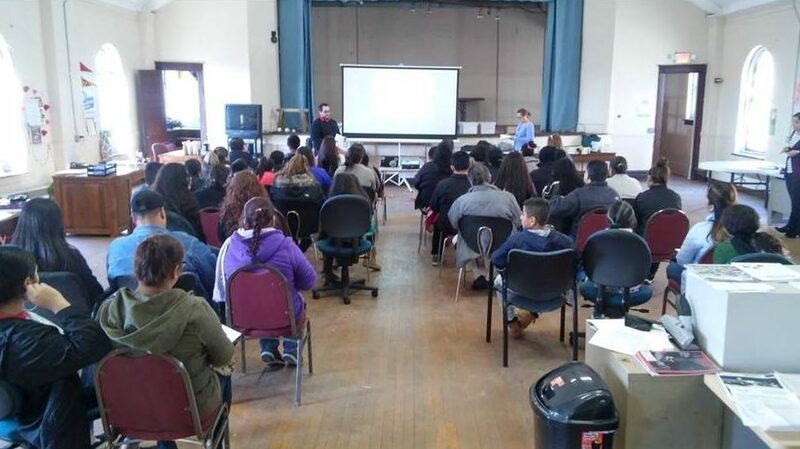 They facilitated monthly workshops on college awareness for middle school families. This parent’s words capture W2C bringing hope for lasting change! I get lots of energy from seeing the parents in our program taking responsibility not only for their own children’s futures but for the community’s future. W2C is able to help parents develop as leaders who can work for positive change in their community. Waukegan to College received two prestigious awards in 2017. In October, Excelencia in Education awarded W2C with their top national prize, as the Community-based organization to best demonstrate outstanding, evidence-based results in improving Latino student success in higher education. And, at the local level, W2C was honored to receive the 2017 Education Leadership Award from the Coalicion Latinos Unidos de Lake County. It is an honor to win awards, but our true pride comes from the accomplishments of the growing number of First-Generation students and families that we have been able to help. W2C has grown from 25 students and their families (in 2009) to almost 200 students and families in the current academic year. And during that time period, 100% of the students who have completed our program have matriculated to college! Our students graduate high school with a 100% College Readiness rate, vs. the 24% of the entire Waukegan High School Senior class. And, our ultimate source of pride emanates from our 45 college graduates! Watching these young people flourish and reach milestones that seemed quite improbable just a few years earlier is my passion and my true reward. Our industry, as defined both broadly as non-profit enterprises and specifically as college-readiness programs, is caught in the proverbial “horns of a dilemma”. The non-profit sector is challenged by increasing demand for services, as the State of Illinois and other government units are under intense fiscal pressure and providing fewer services for citizens. The community looks to nonprofits to fill this gap. Yet –at the same time, the government’s fiscal challenges reduce funding available for non-profits. The sector also anticipates a decrease in individual donations as a result of the recent changes to the tax code. Increasing the standard deduction for taxpayers and doubling estate and gift tax exemptions are estimated by the Tax Policy Center and National Council of Nonprofits to reduce charitable giving by $16-24 billion per year. Despite this somewhat bleak picture, Waukegan to College continues to see a growing demand for our services—a demand that strengthens as the number of our college graduates continues to grow, and these accomplished young people enter the workforce, making a tangible and important difference in their community. 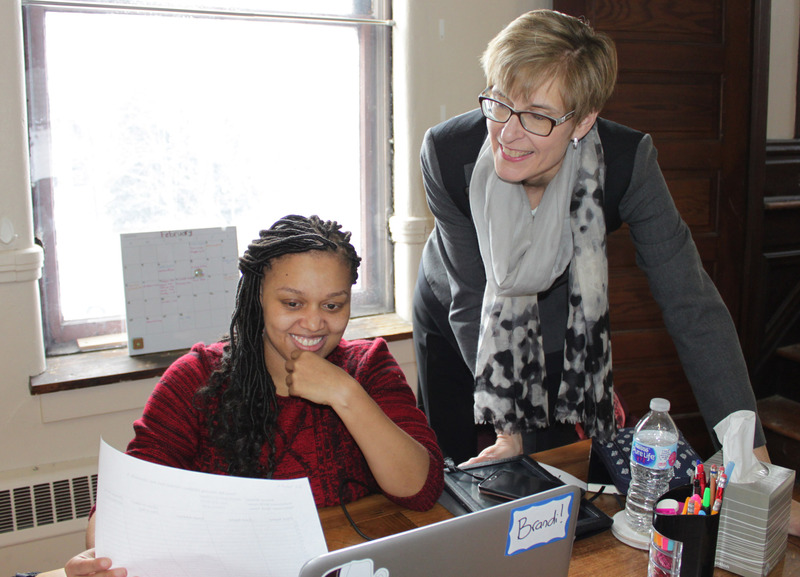 As we look to the future and our radical vision to serve every student in Waukegan for whom a four-year college degree is an optimal path, we need to rely on technology, along with broader leverage of our existing resources and advocates. Currently, our coaching and tutoring activities are very Staff-dependent. There is a one-to-one correlation between the size of the Staff we can afford and the number of students we can help. Going forward, we plan to utilize the passion and commitment of our Parent Leaders, and our Alumni, supported by advancements in technology, to act as a support network and “surrogates” for our Staff. This will enable us to significantly broaden our reach, while we simultaneously demonstrate our model of bringing First-Generation Success to the entire community of Waukegan. This is such an inspiring story! Has anyone contacted the Tribune to get greater coverage in the area? There are several columnists who might find this story worthy of a cover story; I’d start with Heidi Stevens (hstevens@hicagotribune.com)and/or the Features editor Amy Carr (acarr@chicagotribune.com). Fantastic description of Mrs, Danckers and W2C. The results are amazing. W2C is changing the world! Congratulations, Mrs. Danckers, for the fabulous accomplishments of Waukegan to College. It is incredibly rewarding to witness the enormous impact this program has had in helping capable young adults reach their potential. 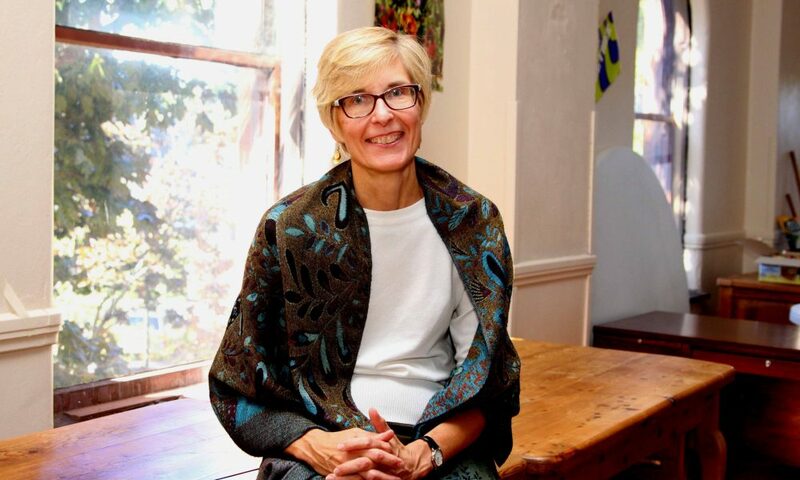 Mrs. Danckers’ tireless efforts should be chronicled in order to inspire others to support this vital program. W2C is the beginning of meaningful change in preparing young adult for a future in which they can flourish. I hope this program grows like wildfire.